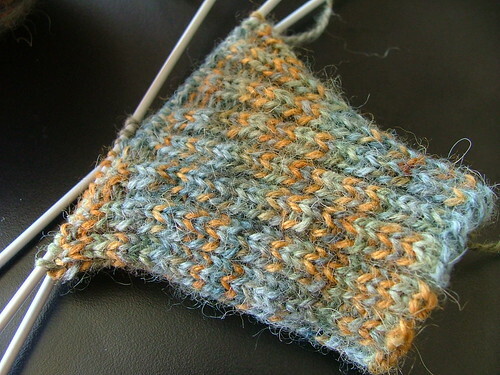 I've had this yarn around for some time now, I kept starting it on a variety of socks but each time I ended up frogging the project. 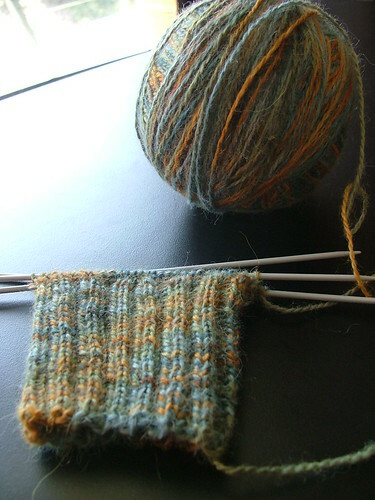 It's Classic Elite's Alpaca Sox made from Alpaca, Merino and Nylon. They are SO soft and fuzzy and seemingly delicate that, to be honest, the thought of making it into something I was going to be sticking my stinky feet into just didn't appeal to me. Finally! I have found a pattern that seems perfectly suited for them! "But Kate!" You say. "They look like another pair of socks to me!" 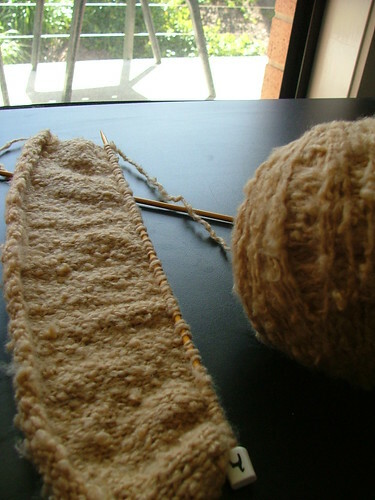 Also on the needles is the beginnings of another top using the mystery wool I'm recycling from a sweater I thrifted. It'll be a tank top and this yarn is much lighter then the worsted wool of the Rogue sweater so hopefully I won't have to put it aside while the weather decides to stay as hot as it has been.